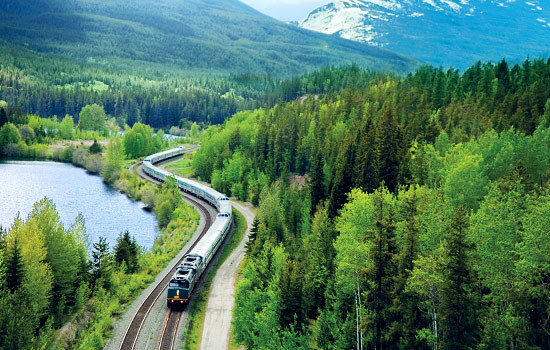 On this Canadian rail, cruise, and drive vacation, discover the magic of the West Coast and Canadian Rockies. 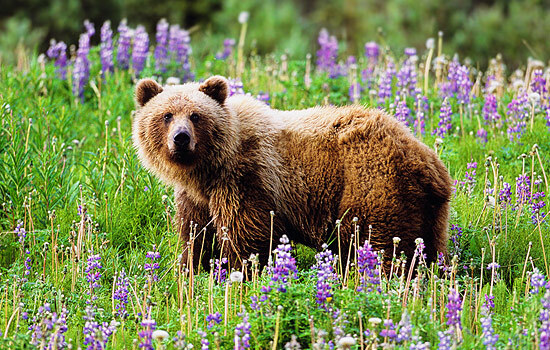 Journey to the Great Bear Rainforest, to see breaching whales and foraging grizzly bears. Take the train to the stunning Canadian Rockies to see ancient geological formations, turquoise lakes, mountain goats, and black bears. This stylish boutique hotel in Victoria's inner harbor goes above and beyond to make your visit special, with unique touches such as fresh flowers and fruit in the lobby, gourmet coffee, tea, and spring water. This top notch 5 star hotel has an amazing location – overlooking the mirror-like waters of Lake Louise. Its timeless elegance will make you feel pampered and there are plenty of activities to enjoy, from horseback riding to canoeing to skating, skiing and hiking. The stunning 4.5 star Rimrock Resort is built into the side of a mountain, offering gorgeous panoramic views over the Bow Valley from the large windows in the main lobby. The hotel is a fantastic example of Rocky Mountain luxury, with an upscale atmosphere and warm, welcoming service. With personal touches and luxury amenities, the Loden Hotel is the ideal boutique accommodation centrally located in the city of Vancouver. Drawing its inspiration from the natural setting of Vancouver and its coastal environment, the Loden features an interior rich in colour and detail. Ideally located just minutes from downtown Vancouver and the Coal Harbour seawall. Vancouver is considered to be one of the most desirable places to live in the world – it is rich with culture, art, cuisine and diversity while being surrounded by wild mountains, oceans and forests. Walk out of the airport and right into a private vehicle. Your driver will help orient you to our hometown, Vancouver. 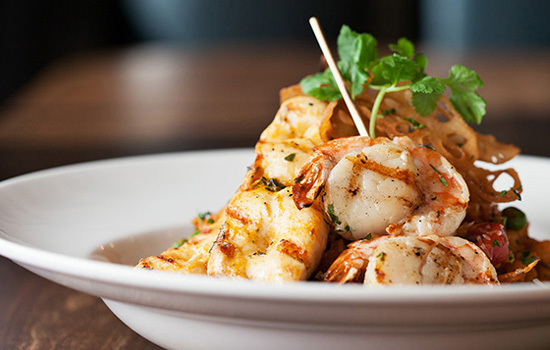 Did you know Vancouver is one of the top culinary destinations in the world? Enjoy a great meal in the best setting while making memories with your loved ones – in one of our favorite restaurants! Today it’s your choice – you have 3 options to choose from to help you discover Vancouver and its magnificent surroundings. 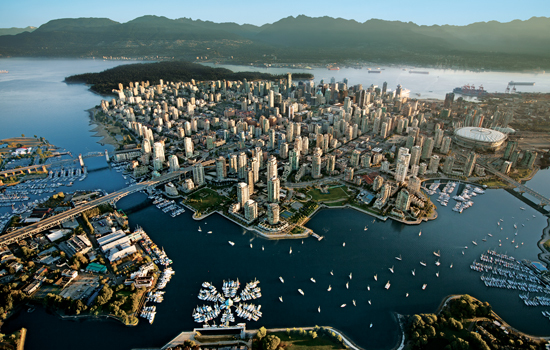 Find out why Vancouver is consistently voted one of the world’s most livable cities. 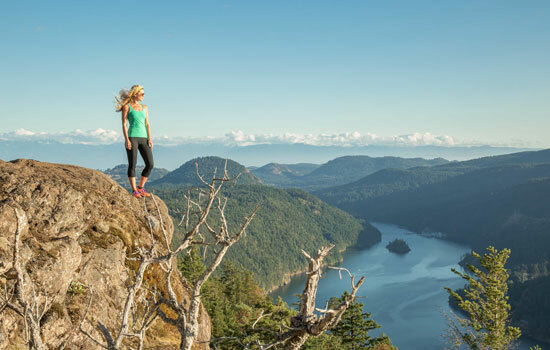 Uniquely gifted with the juxtaposition of mountains and ocean, this tour allows you to explore Vancouver’s highlights and venture into the local mountains and temperate rainforest. Take an exhilarating walk over the treetops at Capilano Suspension Bridge Park and learn about the delicate temperate rainforest ecosystem. A cycle tour is the best way to explore a new city and experience many neighborhoods in a short time. Highlights include Stanley Park, English Bay, Granville Island (Aquabus Ride on False Creek included), Chinatown, Gastown, and Coal Harbour. Lunch break at Granville Island on your own. Explore the Sea to Sky corridor including Horseshoe Bay and Shannon Falls, BC's third highest waterfall. Then ascend 840 m (2755 ft) to the top of the new Sea to Sky Gondola in Squamish, cross the suspension bridge, and take a mine train ride through history at the Britannia Mine Museum. Admissions included. 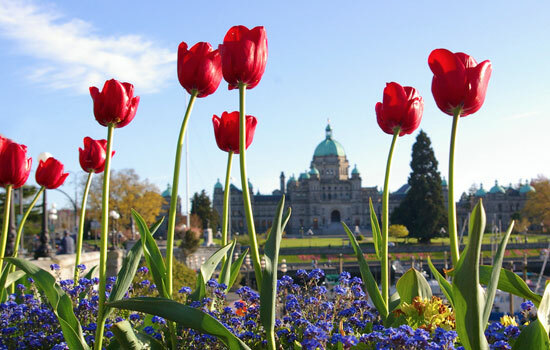 BC’s capital city – Victoria – is located on wild and beautiful Vancouver Island, where it offers a fascinating blend of West Coast culture and British charm. Explore excellent museums, art galleries and the rich history. Did you know that the waters between Vancouver, Victoria and the Juan de Fuca Straight are teeming with marine wildlife? 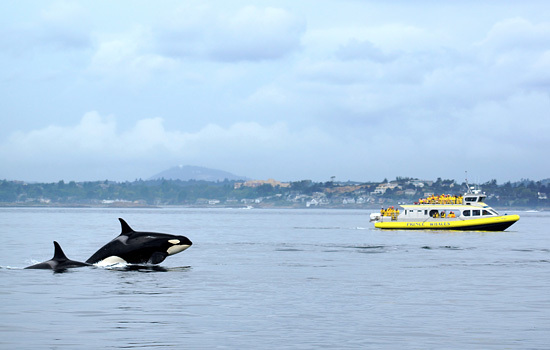 Orcas, humpback whales, porpoises, and sea lions are just some of the species you might encounter. This tour will deliver you to Victoria’s Inner Harbor just before lunch time – and with experiences to reminisce about over your meal! You’ll board a bus in Vancouver which takes you through the farmlands of Vancouver’s rich agricultural surroundings before driving onto the ferry. The passage takes about 90 minutes, offering magnificent views of mountains and ocean. Keep your eyes peeled for whales, especially while navigating the waters of scenic Active Pass. Arriving on Vancouver Island, your coach journey will continue to downtown Victoria. Have you ever wanted to take off and land on water? This is your chance! 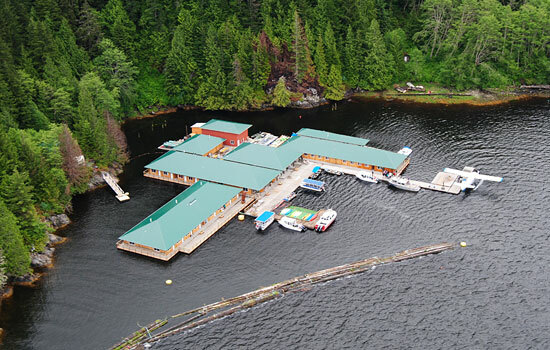 An exciting floatplane flight from Vancouver’s Harbor to Victoria’s Inner Harbor will let you experience the thrill and a gorgeous bird’s eye view of the Gulf Islands on the way. After arriving into Victoria, check into your hotel and spend the rest of the day exploring at your leisure. Victoria has much more to offer than initially meets the eye, and we’ve made sure you get to discover the city’s hidden treasures while leaving your free time to explore the regular tourist attractions that interest you. Pack your running shoes for a stunning adventure in the area around Victoria. On this comfortable walk, explore about 1km of trail with many stops for views including a 360 panorama of the city, mountains and ocean. 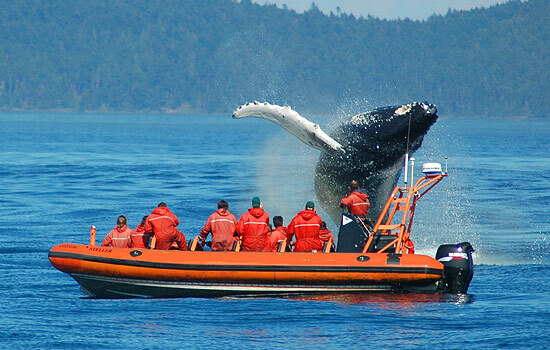 You may even have the chance to see harbour seals and other wildlife on your adventure. See the city up close – seals, seaplanes, eagles, the Fairmont Empress and much more. From this unique perspective, your guide will describe Victoria’s historic waterways by pointing out the many interesting locations and buildings that make up the charming downtown of Victoria, BC. 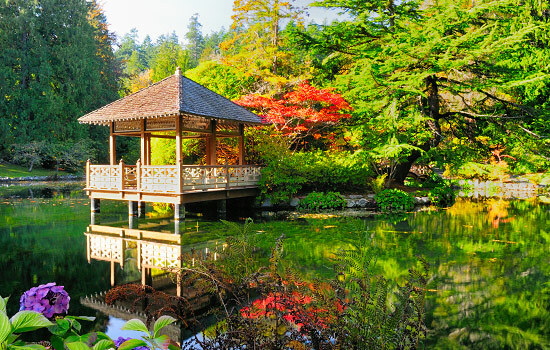 If you are a garden enthusiast, no visit to Victoria is complete without seeing these magnificent and historic gardens. Spend as much time as you like exploring the stunning displays and intimate pathways as a shuttle departs hourly to and from the gardens and downtown. Pick up your rental car early this morning and drive along the scenic roads of Vancouver Island from Victoria to Telegraph Cove, a small town tucked away on the eastern coast of Vancouver Island. Getting here is well worth the extra steps. This quiet town now impresses with pristine and spectacular natural surroundings, abundant marine life, and a very rich history. Settle in to your accommodation and enjoy the historic boardwalk. 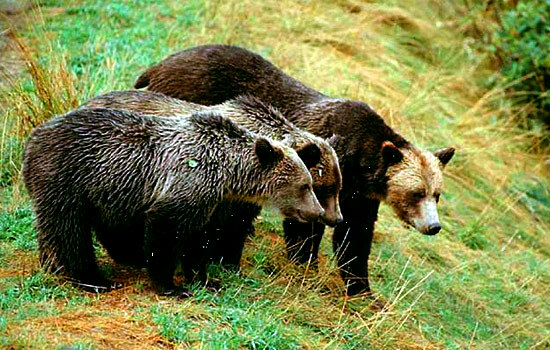 • Included: Grizzly Bear Expedition. Join a guide and small group on a marine excursion to a small cove in one of BC’s many coastal inlets to encounter grizzly bears feasting in the rich waters of the estuary. On route, chances are you might encounter marine mammals such as orcas, humpback whales, pods of Pacific white-sided dolphins, and porpoises. This is an amazing way to view wildlife far away from the disturbances of civilization. The drive today is short, giving you the opportunity this morning to enjoy and discover the quaint little town of Telegraph Cove before you head north. 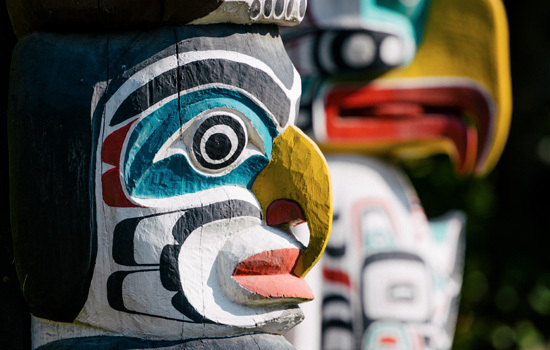 Weave your way north along the scenic roads of Vancouver Island until you reach Port Hardy. This small fishing port is located on the northern tip of the island and is surrounded by wild and rugged scenery. 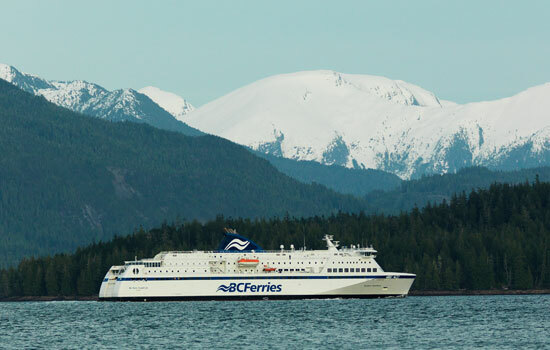 Drop off your rental car and prepare for your Inside Passage ferry tomorrow morning. 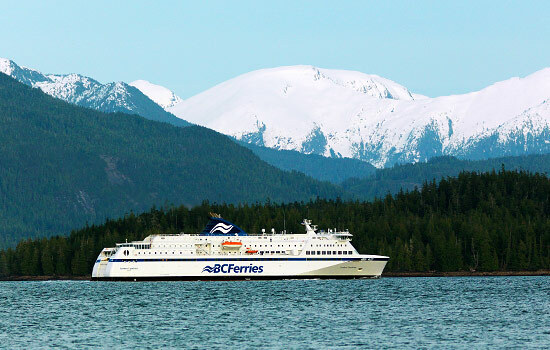 Inhale the fresh clean air on the deck of the ship as you admire the views along the Inside Passage. Lush green coastal mountains, thick old-growth forests, tranquil grey-blue water and perhaps even a soaring hawk or eagle or a breaching whale - this unspoiled scenery will captivate you. Arrive in the town of Prince Rupert in Northern BC in the evening. There is plenty to discover in this Northern BC town. You have 2 options to choose from, showcasing the best of this area. On specific start dates, you also have the option of venturing into the Khutzeymateen Wilderness in the heart of the protected Great Bear Rainforest by boat for additional grizzly bear or whale watching. Please inquiry with your Vacation Advisor for seasonal availability when you call! Join a guide for an out-of-the-ordinary yet quintessential Canadian experience – a canoe paddle. Head out to paddle on the silence of a lake surrounded by mountains or discover the shoreline of a nearby island. Board the VIA Rail Skeena Train and glide down the tracks alongside the raging Skeena River. You’ll pass by canyons, valleys, and mountain ranges where fur traders and First Nations people once traveled. Did you know the Skeena Train still delivers mail and other necessities to remote communities along the way? Reach the city of Prince George where you will spend the night. 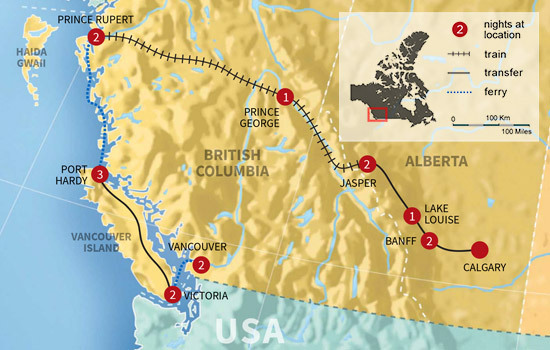 Continue your train journey toward the Canadian Rockies. The Skeena Train has large windows perfect for viewing the rugged peaks and dense green forests all around you. Sit back while enjoying your included meals and admire the views. 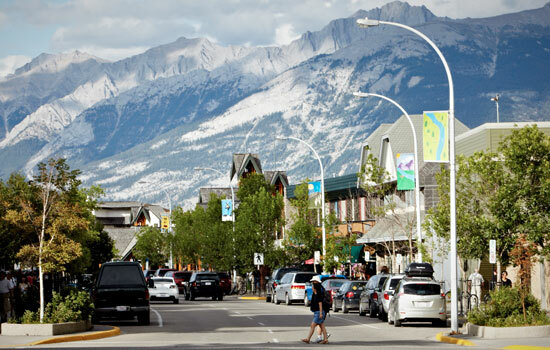 Upon arrival, pick up your rental car and spend the night in Jasper, a quiet mountain town surrounded by pristine alpine wilderness. 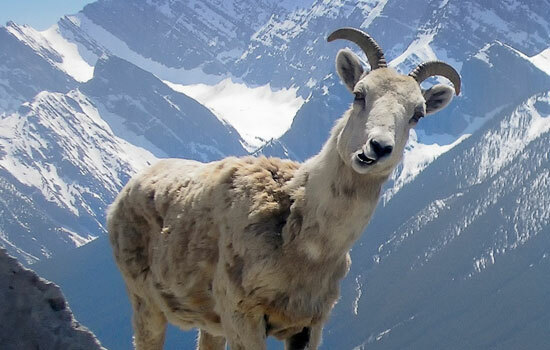 Spend the day exploring all the exciting opportunities of Jasper National Park. Head out for a thrilling tour in the sidecar of a Harley Davidson motorcycle. 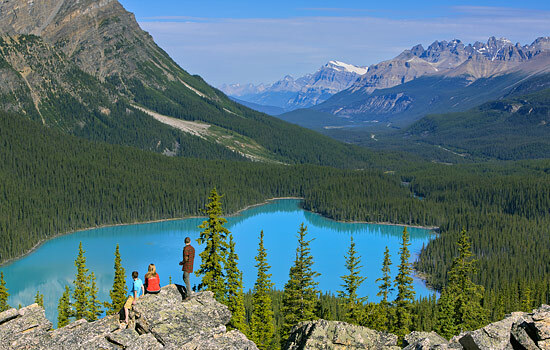 Visit your choice of Marmot Basin, along a winding mountain road for an elevated view of the Athabasca Valley, or tour the many lakes and lookouts of the park. Alternative destinations are available on longer tours. Good for 1 or 2 passengers. 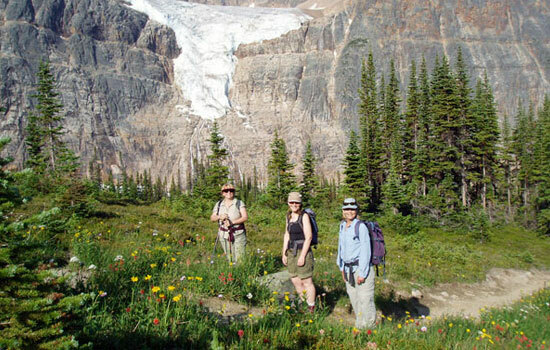 Track wildlife, admire rare alpine wildflowers, and see magnificent valley views with one of the best, hand-picked mountain guides in Jasper. Enjoy a leisurely pace, and plenty of time for photos and discussion. More challenging hikes are also available on request. 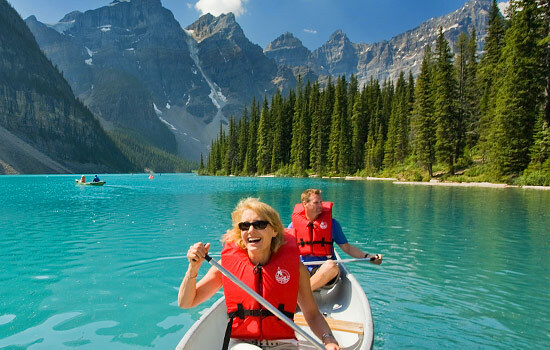 Visit the beautiful natural wonder of Maligne Lake, where you will take a boat cruise to scenic Spirit Island. You also have admission to the Jasper SkyTram today – the longest and highest guided aerial tramway in Canada and the only guided aerial ropeway in the Canadian Rockies. 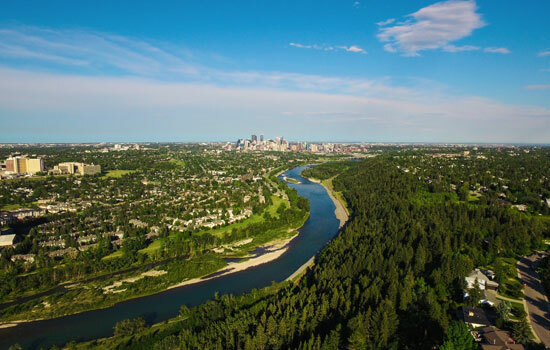 Providing visitors with unprecedented views of six mountain ranges, glacial fed lakes, the Athabasca River and the scenic mountain town-site of Jasper. 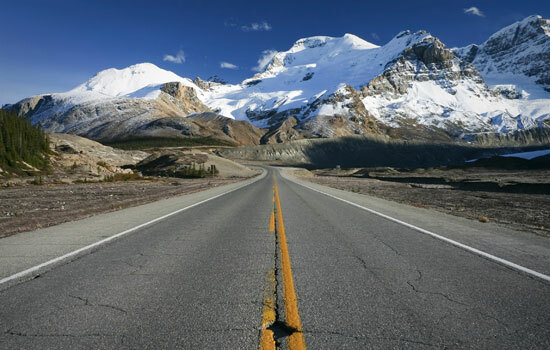 Drive along what is surely one of the most scenic mountain roads in the world – the Icefields Parkway. 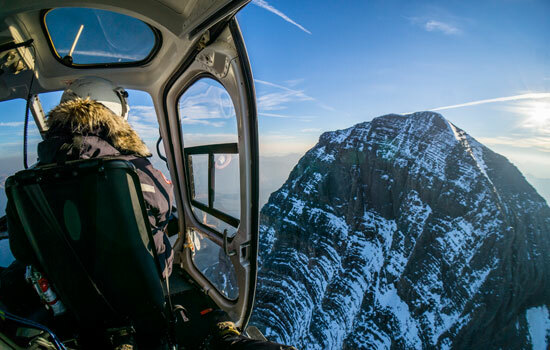 Step away from the crowds and take a helicopter tour abundant in natural beauty, glaciers and waterfalls. 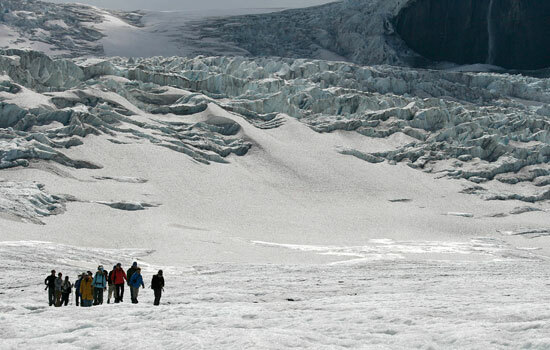 Leave from an exclusive Icefields base and soar over Cline Pass and over Cline, Lion and Lioness Glaciers. You’ll also view a spectacular 900ft waterfall flowing from two aqua green lakes! This tour will have you venturing down the Icefields Parkway to the famous Columbia Icefields, one of the most scenic drives in the world. Step onto the Athabasca Glacier and explore safely along snow and ice while your experienced guide navigates. Equipment is included. Drive the Icefields Parkway at your own pace and stop for a guided ride on the Ice Explorer out onto the Athabasca Glacier, where you’ll be able to spend some time walking on the glacier and filling your bottle with ice cold glacial water. Further down the Parkway, your admission to the Glacier Skywalk is included, giving you the chance to experience one of the newest attractions in the Canadian Rockies. This evening, you’ll relax and refresh with an indulgent dining experience. Surrounded by spectacular lake views, savor a 3-course meal in Fairmont Chateau Lake Louise’s Fairview Dining Room. 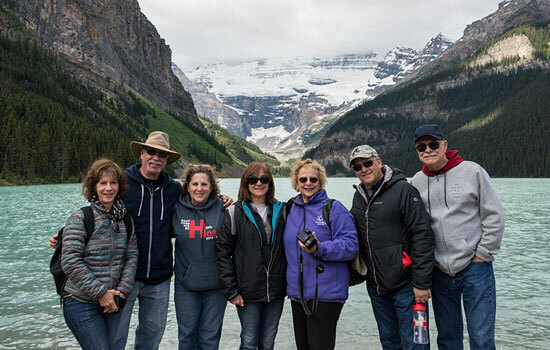 Before driving the short distance to Banff, explore our Lake Louise Activity Menu for some exciting options to enjoy the area. 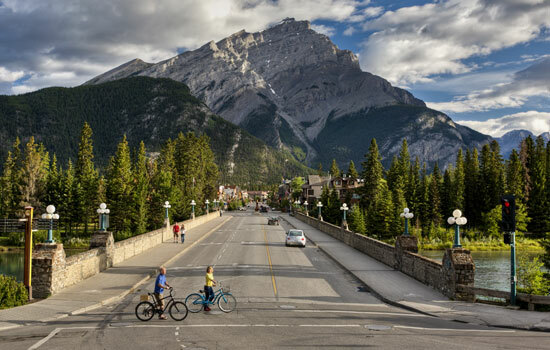 At your leisure, journey to Banff, a friendly and vibrant town surrounded by mountains on all sides. Spend the afternoon enjoying the fun, relaxed vibe. Unwind in the park alongside the Bow River and visit the many quirky local boutiques and cafes along Banff Avenue. Take a full day to discover the wilderness surrounding the town of Banff. 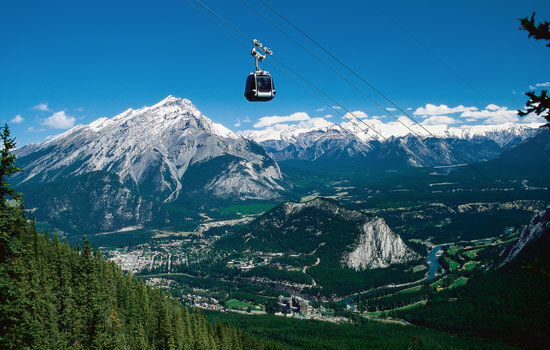 Enjoy the views from the Banff Gondola located atop Sulphur Mountain. Looking to escape the crowds and getting on the path less traveled? 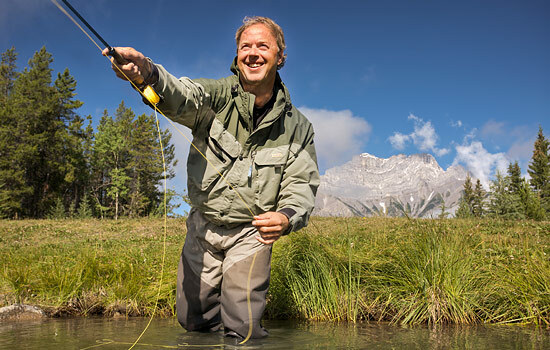 This guided wilderness adventure will get you out into beautiful and pristine Kananaskis Country on specific start dates – jagged peaks, glistening streams and glaciers are your backdrop for the day. Encountering wildlife on this outing is more likely than on the well-trodden paths in Banff. The tour culminates at the summit of Highwood Pass at 2200 m (7200 ft.). Now that’s something to write home about! Starting at the base (1,660m) take the Scenic Alpine Shuttle or Sightseeing Gondola (depending on the day of the week) up to the village at 2,164m, all while taking in the views of the valley. From the Village, ride the Standish Chairlift to over 2,400m and experience 360-degrees of breath-taking views. 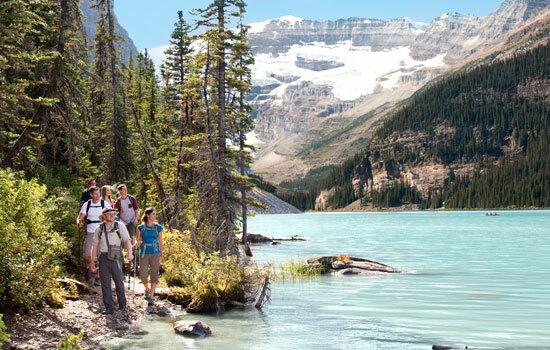 Once at the top, surrounded by the iconic peaks of the Canadian Rocky Mountains, join a hosted trail walk. With your knowledgeable guide, visit the Standish Viewing Deck, then take the Rock Isle Road back to Sunshine Village, stopping by Rock Isle Lake viewpoint to take in the beautiful vistas. Wake up early to experience the magical wilderness of Banff National Park at sunrise. Explore with a private guide and learn how to take great photos. Ideal for the amateur photographer wanting to increase their skills with a manual camera. This is a sure way to make friends and family at home jealous! Wave goodbye to the Rocky Mountains as you drive to the Calgary Airport to catch your flight home. The amazing sights you have seen on your Canadian adventure have become memories that you will never forget. • Train schedules are subject to change and delays may occur. • Price of your trip may vary depending on activity choices. 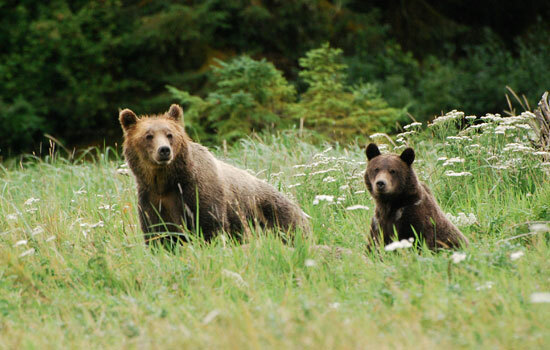 • In Prince Rupert, Grizzly Bear Viewing is available from mid-May to end of July 2019 and Whale Watching from August to end of September 2019. • Some activities may not be available on all trip start dates, due to seasonal weather conditions and wildlife activity. Your Vacation Advisor can provide further details. * More dates are available for this vacation, with slight variations to the itinerary. Please call for a personalized trip. Our Superior Level provides amazing value for clients wanting something more upscale but not at the price of a top-end 5 star resort. Superior level hotels are some of our favorites because of the character and unique charm that you won't find at the average chain hotel. Unique tours and seamless transfers complete your itinerary.